Timothy has over 10 years of environmental consulting experience, including multiple aerospace, industrial (manufacturing and chemical), bulk petroleum, due diligence, and retail petroleum facilities throughout the United States. He is experienced in management and oversight of site investigation and remediation of contaminated sites for private industry within various state and federal regulatory programs. Timothy has provided management for industry clients across the Unites States including: California, Arkansas, Virginia, North Carolina, South Carolina, Ohio, and Wisconsin. He is responsible for managing multiple soil, groundwater, surface water, and vapor intrusion investigations. Timothy has conducted site investigations in various geologic and hydrogeologic environments with a variety of methodologies and technologies including: roto-sonic, air rotary, direct push, and hollow stem auger drilling. Additionally, he has also overseen/conducted remedial events including excavation, sludge stabilization, soil vapor extraction, enhanced bioremediation, chemical oxidation, and thermal remediation. Site wide vapor intrusion investigation. The project included collection of over 300 indoor air samples across 30+ occupied buildings at the Site. 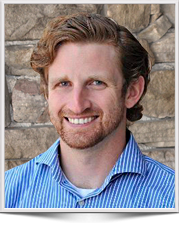 Timothy served as the team project manager maintaining good relations with client project management staff, plant staff, regulators and offsite stakeholders. He provided management of all onsite activities. Following the initial data collection, conceptual site models were developed for each of the buildings with potential vapor intrusion issues across multiple operable units at various stages of investigation and/ or remedy implementation. Large vapor intrusion evaluation at a former aerospace facility. The site consisted of several commercial buildings and two-day care facilities. Work included sampling of both soil gas and indoor air for a large PCE/TCE plume. Provided management of all field activities, including management of the consultant team, contractors, and communication with property owners. Field investigation of a former chemical plant. The investigation included characterization of mobile light non-aqueous phase liquids (LNAPL) in groundwater and the extent of polychlorinated biphenyls (PCBs) in soil. Helped to develop a conceptual site model to be used for enhanced removal of LNAPL. Portions of the work included treatability studies for thermal treatment. Investigation of this LNAPL impacted site. The scope of work included characterization of the extent of mobile LNAPL at the Site by testing the fluid saturation level of soil cores. The LNAPL recoverability was estimated by performing an LNAPL bail down test. The information was used to create a conceptual site model and remedial cost estimate for the project. The former manufactured gas plant site was impacted by residual lamp black material from former operations. Work included development of a work plan, implementation of a field sampling plan, baseline risk evaluation, and reporting. Soil and groundwater investigation at a former UST Site. Activities at the site included soil boring and monitoring well installation, groundwater monitoring, and reporting. Timothy was responsible for the management of field staff and subcontractors. Served as the case manager for installation of soil borings, remediation wells, and monitoring wells. The scope included characterization of a MTBE groundwater plume and a remedial pilot test using enhanced bioremediation with Waterloo Emitters. Managed the well installation, deployment of the pilot test materials, groundwater monitoring and reporting. The Lincoln Center is a commercial shopping area being remediated for impacted soil, soil-gas, and groundwater contamination of tetrachloroethene and associated degradation products from a dry-cleaning solvent release. Managed the decommissioning of an SVE and air sparge remediation system at this site. Responsibilities included scope and work plan development, permitting, subcontractor management, financial management, staff management and reporting. Served as the field manager for operation of a vacuum enhanced groundwater extraction and treatment system and was the primary author of groundwater recovery system and groundwater monitoring reports. Developed a conceptual site model and monitored a natural attenuation plan for the residual source areas and developed a work plan for additional site characterization. Managed field activities for high resolution site characterization of a groundwater plume utilizing a groundwater profiler, stream piezometers, and membrane interface probe (MIP). Served as project manager for installation of a groundwater monitoring well network and aquifer testing in accordance with the groundwater monitoring plan. Developed a conceptual site groundwater model for the client for the syncline formation underlying the site. Onsite manager for installation of investigative borings and installation of an electro thermal dynamic stripping process (ETDSP) extraction system. Responsible for ensuring installation of electrodes, extraction wells, and monitoring wells that met specifications. Timothy was also responsible for collection of environmental data and for the health and safety of the project team. Served as field manager for a RCRA Corrective Action Project and was responsible for managing a team of field technicians, geologists and engineers, authoring and implementation of work plans, financial management, system evaluation, and reporting. The site is a former manufacturing facility with TCE, hexavalent chromium, and xylene releases. Investigation related experience includes oversight of soil boring and nested monitoring well installation, roto-sonic soil and rock core logging, aquifer testing, groundwater sampling, borehole geophysical investigations, tracer testing, and straddle packer investigations. Developed a conceptual site model for fate and transport of TCE and petroleum groundwater plumes from multiple solid waste management units (SWMUs) and Areas of Concern (AOCs). Managed construction, operation, and maintenance of a groundwater recirculation system, a saprolite/bedrock electron donor injections system, and a soil vapor extraction (SVE) and vapor treatment system. Additionally, Timothy managed construction of an in situ chemical oxidation (ISCO) well network, injection of oxidants, post remediation evaluation and reporting. Responsibilities also included management of the routine sampling and reporting of remediation system components (monthly) and quarterly site wide groundwater and surface water monitoring. Served as field supervisor at a RCRA site within the NCDNER REC program, responsible for reporting and implementation of workplans, financial management and management of field staff. Investigation related experience included oversight of soil boring and nested monitoring well installation, soil core logging, aquifer testing, soil gas survey, and surface water, sediment, groundwater, sub-slab and indoor air sampling. Managed field implementation of an ISCO event including planning, permitting, treatability study, pilot testing, and field implementation. The ISCO event included injection of sodium persulfate oxidant to treat a TCE, 111 TCA, and 1,4 dioxin source area. All in situ work conducted within the plant’s cafeteria were within tight working conditions. Site supervisor and construction inspector for a large-scale excavation project. Responsible for onsite management of field staff and subcontractors during excavation of 45,000+ tons of RCRA hazardous, TSCA, and non-hazardous soils, brass hopper demolition, and above ground storage tank removal. Conducted onsite soil gas screening and identification of potential soil vapor source areas. Additionally, Timothy conducted installation of sub-slab and soil gas implants within and outside the building and soil-gas, indoor air, and ambient area sampling. Managed vapor intrusion evaluation and procurement of specifications for a sub-slab depressurization system to de-pressurize target areas of a large TCE soil gas plume. Planned and implemented an enhanced bioremediation program to treat a TCE plume within a porous sandstone formation. Responsible for evaluation of a current injection well network, and preparing a scope of work and permitting to rehabilitate the existing well network and supplement with new injection wells. Managed a field team for well rehabilitation, new well installation, and injection of an electron donor via a straddle packer. Served as construction inspector for a tall oil sludge stabilization and excavation project. Responsible for providing onsite management of contractors during stabilization and excavation of 16,000+ tons of RCRA non-hazardous waste and dewatering and treatment of a 1,000,000+ gallon waste lagoon. Assisted in the development of an updated conceptual site model to aid in the evaluation of an active pump and treat and in situ bioremediation system. The site is a superfund site with a large hexavalent chromium plume. The conceptual site model was used to identify data gaps and develop a revised remedial strategy for the site.